If the skin is sensitive, use Provox Skin Barrier. 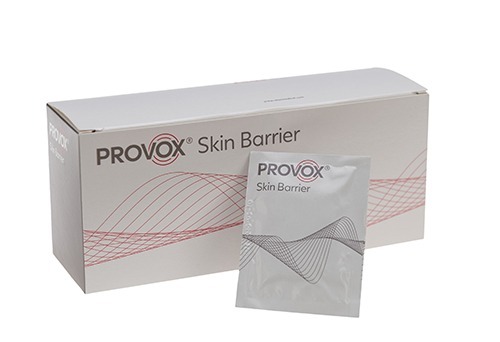 Provox Skin Barrier comes in a special wipe that leaves a protective layer on the skin. Use it after cleaning the skin, but before attaching the daytime adhesive.